If you’re interested in wet flies and are within driving distance of Danbury, CT, or Coventry, RI, mark your calendars for February 2014. I’ll be making my presentation of “Wet Flies 101” to the Candlewood Valley TU chapter (cvtu.org) on Tuesday, February 11, and to the Narragansett, TU chapter (tu225.org) on Wednesday, February 26. You don’t need to be a member to attend, and you can get directions and times from their respective websites. Wet flies have been fooling trout for centuries — and the fish aren’t getting any smarter. While the wet fly fell out of favor in America decades ago, more and more trout anglers are discovering that the best match for a hatch is often a wet fly. “Wet Flies 101” is a basic overview of the method. I cover history, fly styles, leader construction, where to fish wets, and presentation. Hope to see you there! 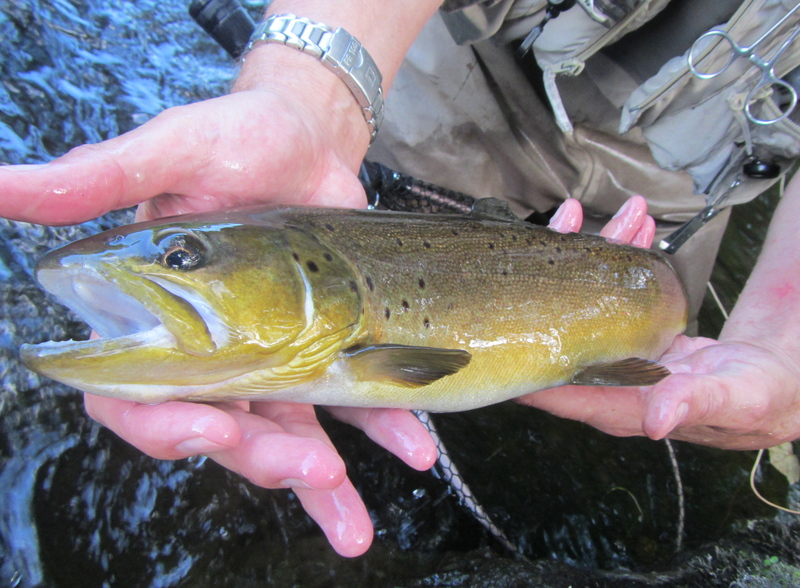 This big summertime brown took a Drowned Ant soft-hackle on the Farmington River. 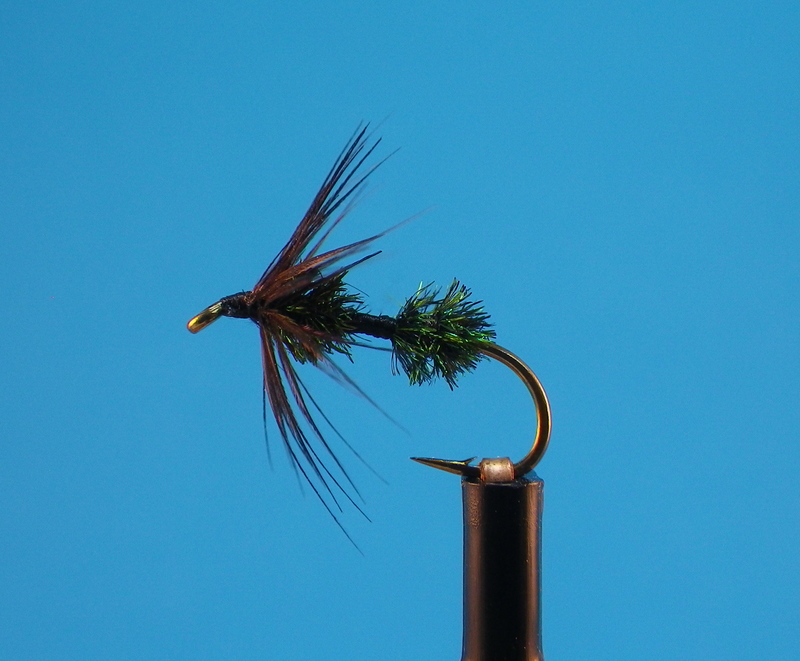 The Drowned Ant is a simple soft-hackle, based on the centuries-old pattern Starling and Herl. Trout can’t resist this fly. This entry was posted in 2019 Schedule and Events and tagged fly fishing, fly tying, North-Country spider, soft-hackle, Steve Culton, Trout Unlimited, TU, Wet Flies 101.
would you be willing to send me the ingredient list for this fly so I may attempt to tie some up…. I’ll do better than that: Here’s the link to the Drowned Ant on this site. Also, tie some without the segment (a Starling and Herl). If there’s a better subsurface imitation for small black stones or dark caddis, I’ve yet to fish it.